A recipe for traditional New Orleans Beignets. In a small bowl, combine 1/4 cup warm water, yeast, and 1 teaspoon sugar. Let stand until foamy, about 5 minutes. In a large bowl, beat remaining 3 tablespoons sugar, shortening, and salt at medium speed with a mixer until smooth. Add 1/2 cup boiling water and evaporated milk, beating until combined. Add egg, beating until smooth. Stir in yeast mixture. Gradually add 3 cups flour, beating until smooth. Beat in enough remaining flour to make a soft dough. On a lightly floured surface, turn out dough, and knead 6 to 8 minutes or until dough is smooth and elastic. Place dough in a lightly greased bowl, turning to grease top. Cover and refrigerate for at least 30 minutes or up to 2 hours. On a lightly floured surface, roll out dough to 1/4-inch thickness. Using a sharp knife, cut dough into 12 (3-inch) squares. Do not reroll dough. In a large Dutch oven, pour oil to a depth of 3 inches; heat to 350˚ over medium heat. Fry dough in batches for 2 to 3 minutes or until golden brown, turning dough frequently during frying. Drain on paper towels. 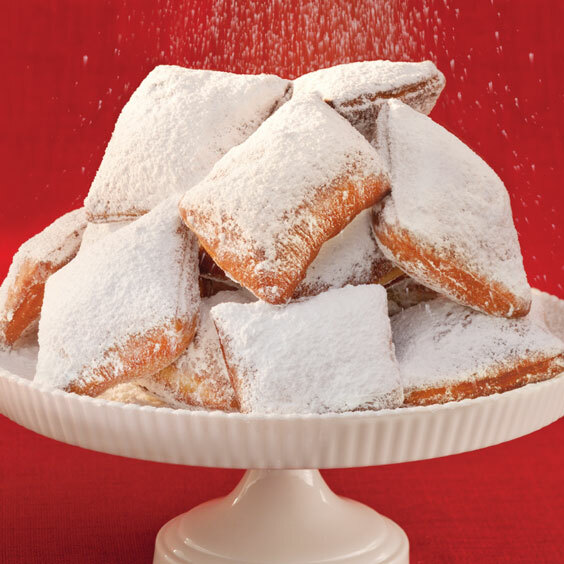 Sift confectioners’ sugar over hot beignets. Serve warm. 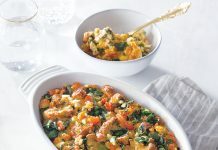 Thanks for sharing all these wonderful recipes. I love it. And I pass them on to family. I’m from New Orleans n I make them beignets all the time..
Sherrell, do u use this recipe? Do the come out like Cafe DuMonde? Waaay over here in Hawaii and missing beignets. Malasadas at Leonards are arguably better! 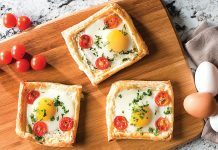 Want to make these for my family but we don’t use fake oils and shortenings. Can I sub out the shortening for lard without the taste being affected? Flavor is, of course, one of the best benefits of lard, so we don’t think you’ll be able to substitute it here •without• affecting the taste of the beignets. Furthermore, the cooking temperature may have to be adjusted (the different fat properties could make the beignets greasy). Thanks, I bought the mix (made by one of the coffee & donut places in NOLA @ Walmart and it did not rise, the manufacturer was no help! Now I can make my own mix! Still have my recipe from when I worked at the Morning Call Coffee house when it was open out the end of Covington towards Mandiville…many years ago..
Would you please share your recipe? Morning Call in Metairie is closing or may even be closed by now. Do you have a recipe you can send? Thanks.